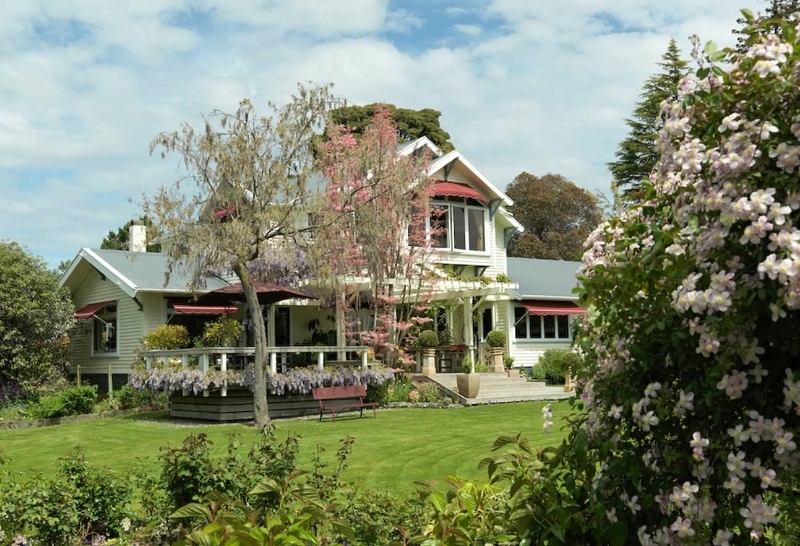 Relax on your sheltered deck to watch the wading birds, go for a canoe paddle, swim in the pool, play tennis, sip a local Chardonnay in the garden, wander among the roses, linger over breakfast under the wisteria and take time to enjoy the tuis in the kowhai trees. The Hamilton and Stafford Villas are tastefully appointed and designed to reflect the environment of the foreshore with specially commissioned Nelson art work and ceramics, complemented with colours and fabrics to create a very peaceful holiday home. Enjoy your own private patio, garden area and a spa where you can push back the wide windows to take in the moon over the calm waters of the estuary. Both villas have dressing rooms, ensuites with double spa baths and showers. Kitchenettes have refrigerators and microwaves, sitting rooms with writing desks, T.V. phone/fax, and CD radios. At high tide the water is almost lapping at the decks of the Hopkirk and Barkly Suites. They offer comfort and privacy in a purpose built cottage with stained glass windows, a charming atmosphere and an uninterrupted view across the estuary to the distant forest and hills. The spacious sitting rooms include a writing desk, T.V. and telephone. Each suite has its own private facilities including spa bath and shower, dressing room and kitchenette with refrigerator and microwaves. Bedrooms feature king and king/twin beds, firm mattresses, woollen underlays, electric blankets and quality linen. You'll find complimentary beverages in your fridge. Fresh gardens flowers, chocolates, robes, fine toiletries, quality linens and quality furnishings throughout. At Bronte Lodge they provide everything for you to make the most of the beautiful environment: Canadian canoe, windsurfer, sailing dinghy, tennis court, petanque and portable barbecue. Soak up some of Nelson's famous sunshine beside the 13 metre swimming pool, or opt for a few vigorous lengths. Our helipad is a great way to arrive, or to get to Nelson's excellent hunting areas and trout rivers. The Garden spreads over two acres of trees and flowers with another acre of grassland, including a landscaped pond and boutique vineyard. They make their own merlot, a pinot noir and chardonnay in a petite winery - and they're pleased to share the process (and the product) with their guests. In the springtime the azaleas, rhododendrons and camellias make a splendid show with banks of daffodils spreading underneath. There are over 120 roses flowering right through summer into Nelson's gentle autumn Garden pathways meander through large mature trees towards the sheltered seashore. Tasman Bay's high tidal range creates an ever changing landscape between high and low water. On the nearby feeding grounds you will see some exceptional birdlife. The two rarest of our waders are the Kotuku (White Heron), and the Kotuku-ngutu-papa (Royal Spoonbill). The Eastern Bar-Tailed Godwits visit each year from Siberia and Alaska. Other bird life includes Pied Shags, Blue and Grey Herons, Terns and Oyster catchers. Binoculars and reference books supplied. For modern art lovers Bronte Gallery is situated just before Bronte Lodge on the Bronte Peninsula. Bronte Lodge is unsuitable for children under 15 years of age.